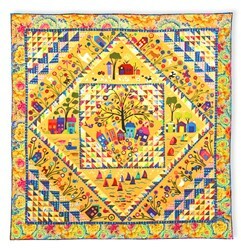 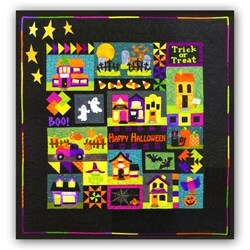 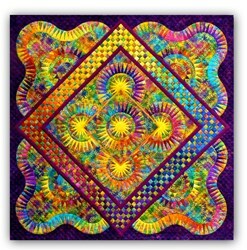 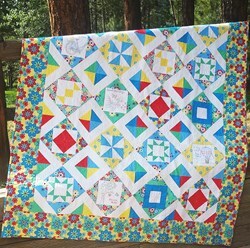 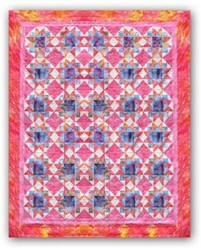 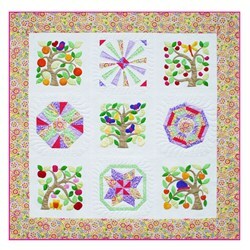 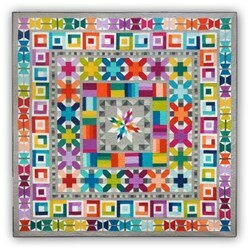 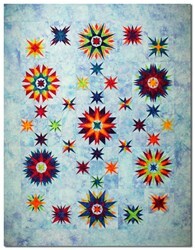 What a fun, bright and happy quilt! 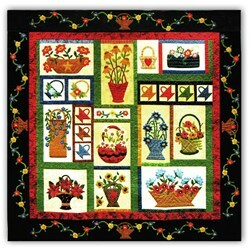 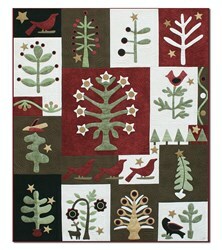 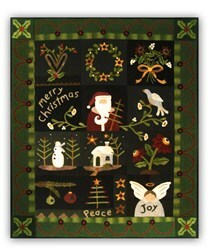 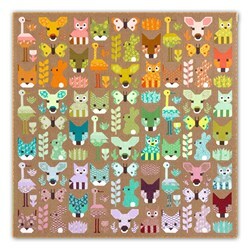 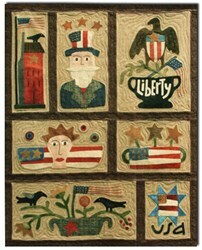 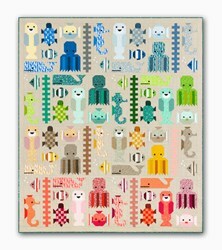 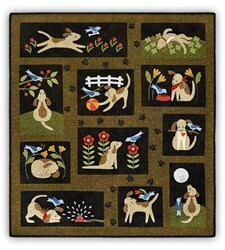 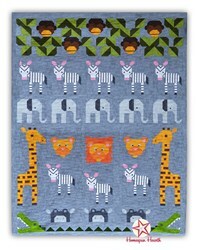 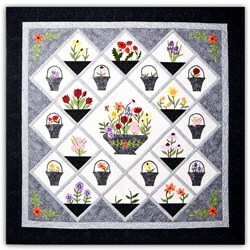 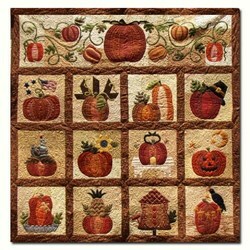 We have taken this to the next level, and are offering as a wool applique quilt! 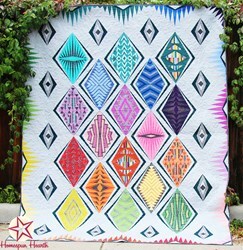 We have 100% gorgeous hand-dyed bright colored wools that are just waiting for this perfect design. 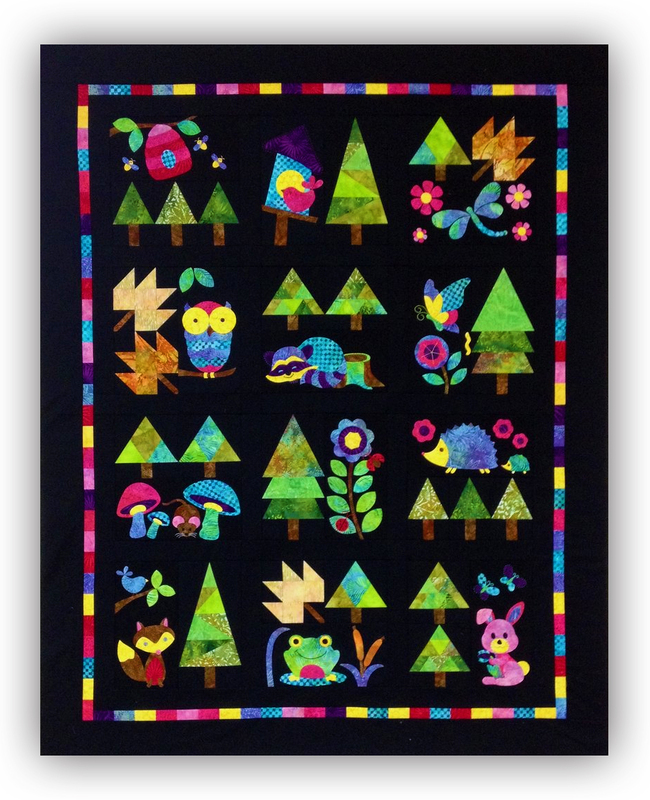 These bright colored wools are appliqued on a black 100% wool background so that the colors really pop! 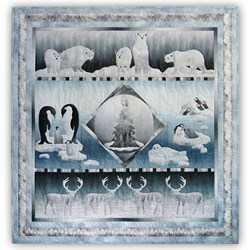 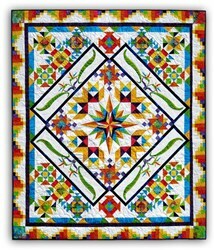 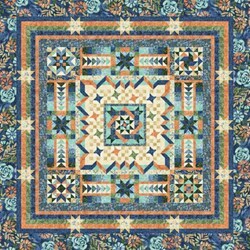 The finished quilt measures 54" x 68", and it is sure to be treasured by all. 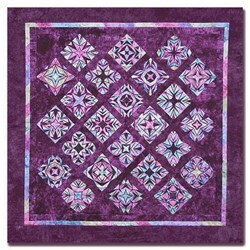 We also have this in a batik version, which you can find here. 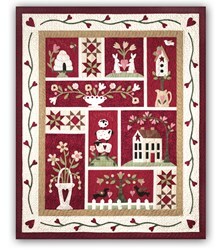 We are offering this as either a 13 month Block of the Month, or as an All at Once kit. 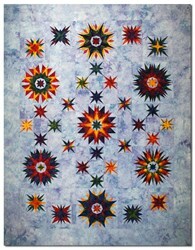 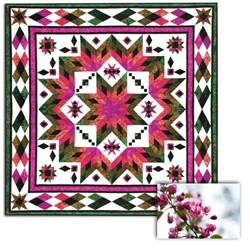 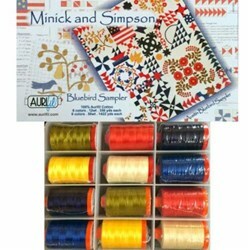 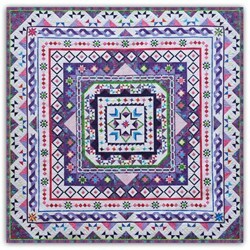 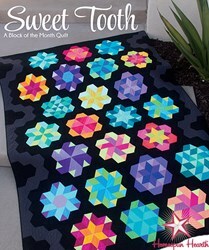 The kits include all of the wools required to complete the quilt top, including binding. 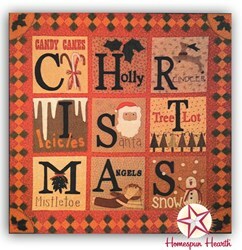 Easy-to-follow instructions are also included with full-sized templates. 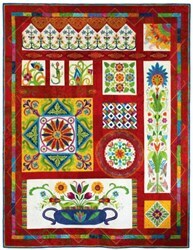 Because this version is 100% applique, we will also be including an exclusive supplement with additional templates that are not in the original version. 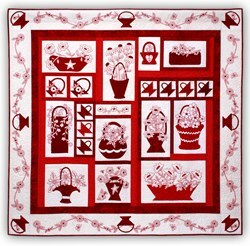 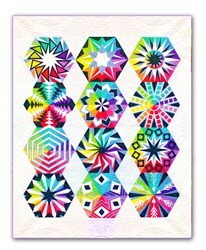 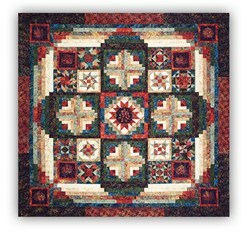 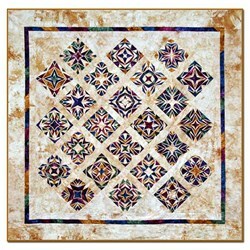 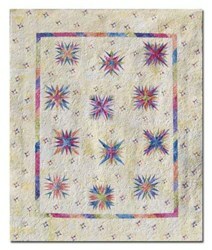 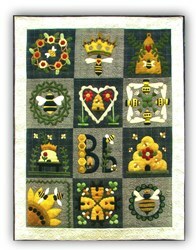 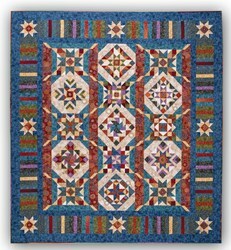 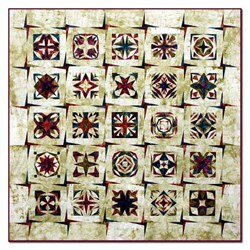 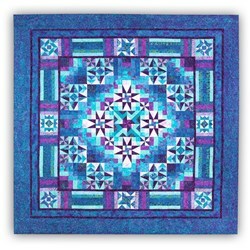 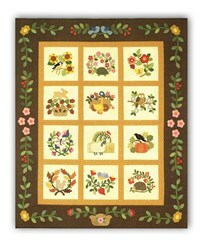 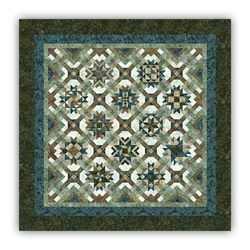 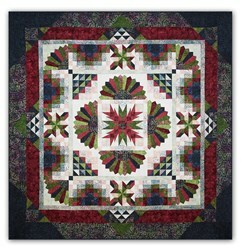 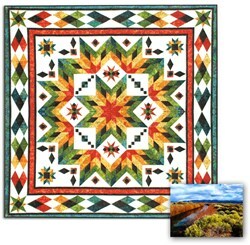 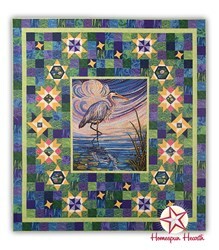 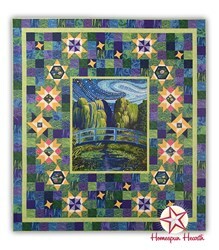 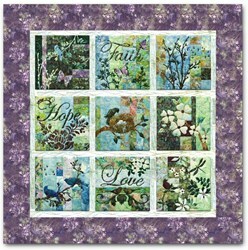 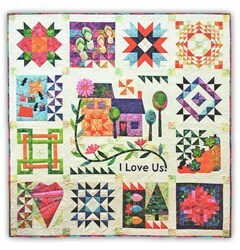 The Block of the Month, schedule to begin in June, costs $41.16 per month, plus shipping costs. 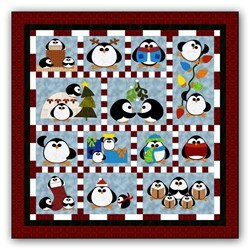 Each month you will receive woolens required to complete that month's critters, and on the 13 month you will receive the finishing woolens to complete the quilt. 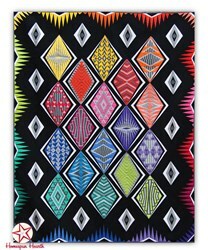 The All at Once version will also ship in late June/early July. 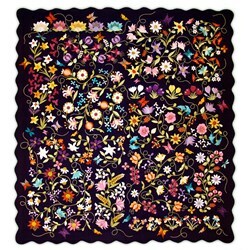 The cost for the All at Once is $585.08, and US Shipping is free. 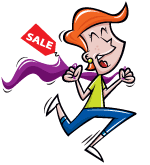 International customers receive a 20% shipping discount. 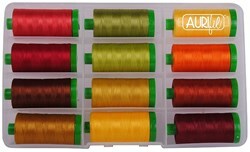 Each month's wools are packed individually for your convenience. 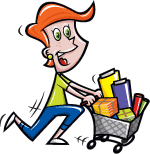 You will pay the reservation deposit now, and your card will be charged approx. 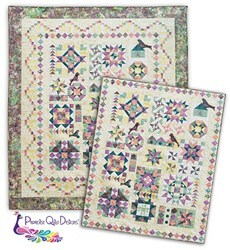 1 week before we ship your entire kit. 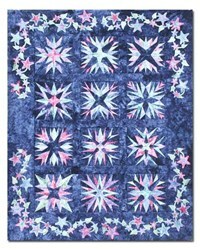 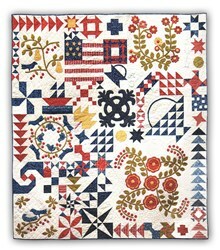 We also offer flannel backing for this quilt. 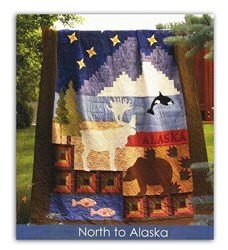 The cost is $49.20, and it will ship with the 1st month.